Social media marketing has become so important among many kinds of marketing strategies. Now all business enterprises know that conventional social media engagement is going to be very important for their success. 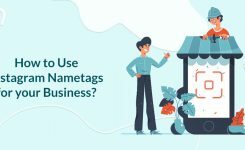 Instagram has turned into one of the most valuable networks to use for this purpose and it can be hard to keep up with your competitors without a proper automation tool. In this article, we are going to talk about the value of using Instagram bots and the differences between buying followers and using this kind of bot to upgrade your business. There is a huge business in the process of selling followers. The problem is that buying followers doesn’t provide any results. Most of the followers that are applied to an Instagram account, are who have no interest in what you have to offer. They are usually simply using networks that allow them to exchange follows for follows and this means that those account owners are only looking to increase their own business pages and also, they are mostly fake. In a nutshell, most of the followers you buy are only looking to get their own follows. This means they won’t be interacting with your posts or converting into paying customers. This is one of the main reasons why buying followers is not a good and appropriate method. Your numbers will increase, but there will be no interactions, conversions and no engagement at all. An Instagram bot is a service that allows you to automate the activities on your Instagram account. This service is not meant to send new users to your Instagram account. Instead, it will help you by auto-following, auto-liking, auto commenting and performing all kinds of tasks that you can schedule and leave on autopilot. This means that the Instagram bot is simply will do to tasks for you to save you time. You will benefit this because the more your account interacts with others, the more chances of having people like share and follow your Instagram. This is the beauty of using the Instagram bot and it makes the process a lot easier. A good Instagram bot is essential, as well. 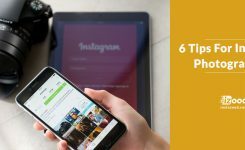 Finding an appropriate provider for your Instagram bot is a crucial step to success. This is going to ensure that you get great results and you are also able to keep using the bot without problems. This is why proper advice will be very important when you are looking for an appropriate kind of bot. Once you use it, you will see the incredible benefits of doing this. 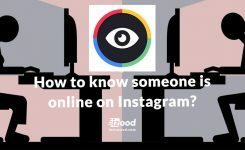 Now that you know the difference between buying followers and using Instagram bots, you can make the right decision and use this to your advantage. It’s a legitimate way for someone to achieve the best possible results and it will help you boost your engagement. The greatest advantage of using the Instagram bot is that it will save you a lot of time. This is a time that you can use for other important tasks in your business and even spend more time with loved ones. The point is that this is very useful to help you keep things moving forward in the modern world.